First day covers are custom envelopes that once gummed with stamps of the same design, create a unit that marks the first day of issue of each stamp set released. 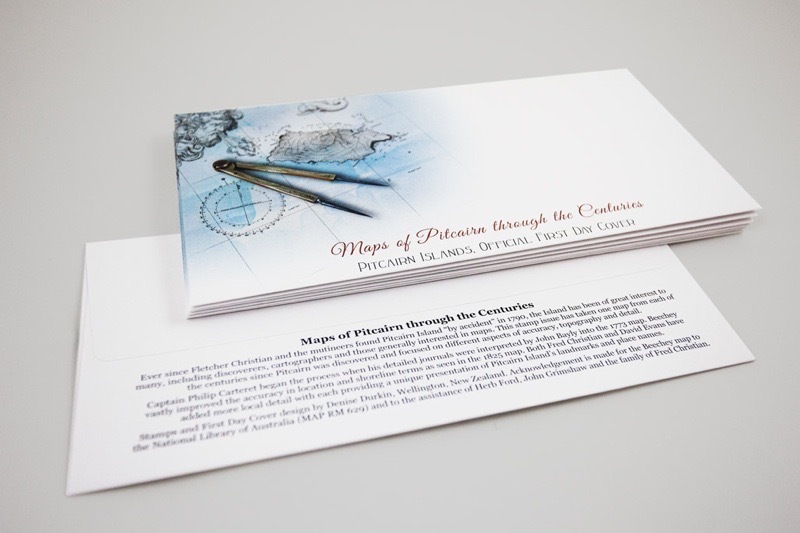 We produce these custom first day cover envelopes for both Vanuatu and the the Pitcairn Islands postal service working for their print production partner Latitude Fulfilment. These first covers are printed in small batches, diecut and hand assembled to ensure the quality for the stamp collectors who collect them world wide.